After the Interview - Bell and Associates, Inc.
Keep up with the latest in business and careers. After interviewing with a company, especially after interacting with a hiring manager and their team for the first time, a lot of folks can find themselves filled with angst and questions as to what they should do in order to follow up or simply communicate with the best intentions. This is a response that is typical for interviews that went poorly, average, and even interviews that seem to have gone perfectly. Everyone will experience this on some level at least a few times in their career when pursuing a job. The simple 3 keys to following up effectively are 1. Show appreciation for the opportunity 2. Don’t put all your eggs in one basket and 3. RELAX and don’t stress about the outcome. Being realistic in the year 2019, the best way to show appreciation is with an email written to the folks you spoke with. If you spoke with multiple people on a team, whether they were in leadership or not, it would be much more personal to send them each an individual email as compared to one email addressed to the key decision maker with others CC’d. The simple act of thanking the team might set you apart from candidates who didn’t think it was necessary or simply forgot. You don’t need to write a novel, so to speak, but include some content and let them know you’re excited about the opportunity and are eager to pursue the next steps. Regardless of their opinion of you prior to receiving a “thank you email”, their opinion of you after receiving that thank you will be better than it would have been had you not taken the time to send it. In the case of job searching, it’s easy to walk out of an interview feeling like you nailed it and then proceed to take your foot off the gas when pursuing other opportunities. 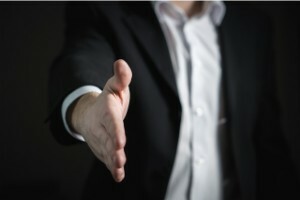 Something many candidates don’t realize after they walk out of a very positive interview experience is that you have no clue how other interviews have gone for the team you just met with. There might be another or multiple candidates that walked out of their interviews feeling like they have the job. In this case, it’s important to keep in mind that you don’t want to put all your eggs in one basket and thoroughly explore other options. Unless you live in a lightly populated area or are in a niche field of occupation, you have multiple options of jobs to pursue. An aspect of post interviewing that is far easier said than done is keeping yourself relaxed and remembering to not worry about the outcome. If you have remembered to do the things mentioned above, you shouldn’t have a reason to worry. Everyone involved in the hiring process, candidate and hiring team included, have the same end goal – find the best possible fit based on qualifications, company culture, and idealistic future growth of a position/person. It’s important to remember that there is only so much you can do as the candidate for a job you want and so long as you have done everything you can, you’ll likely find yourself in a satisfactory role after a reasonable amount of searching. The best piece of advice during a job search, regardless of your reasons for looking, is to simply remain positive and the folks surrounding you throughout your search will likely pick up on that and reflect accordingly.